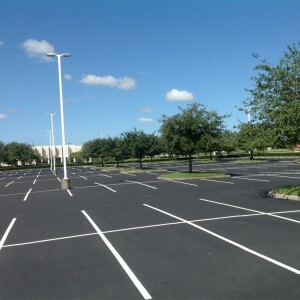 Parking Lot Services applies sealcoating products tailored for each particular situation to form a tough protective coating over your parking lot. 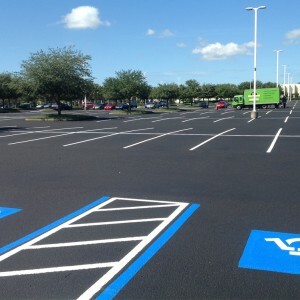 What is asphalt sealcoating? Why is it necessary? 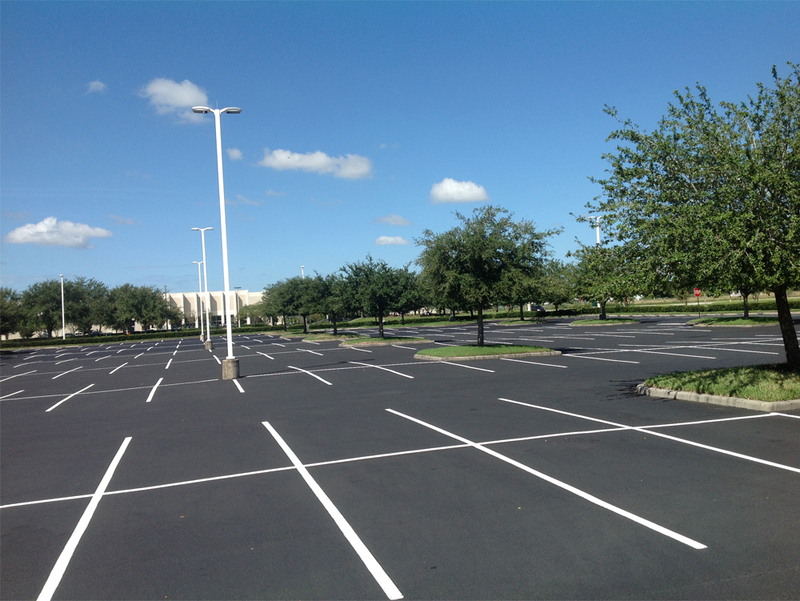 Properly designed parking lots rarely wear out from traffic. Surface deterioration is usually caused by the weathering effects of the sun and rain, as well as the softening effects of deicers. gasoline, and oil drippings. 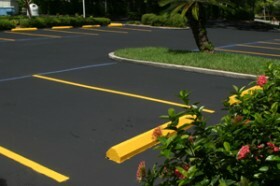 Oxidation , the graying in color of asphalt pavement, is a sign of fatigue, aging, and general surface deterioration. When unprotected pavement becomes oxidized,the aggregate will begin to ravel from the surface making the pavement rough. Once the surface becomes brittle, cracks develop, and the pavement deteriorates. Furthermore, water in open pavement structures is a major cause of pavement damage. Instituting a preventative maintenance program before these damaging elements get a hold on your pavement is important. 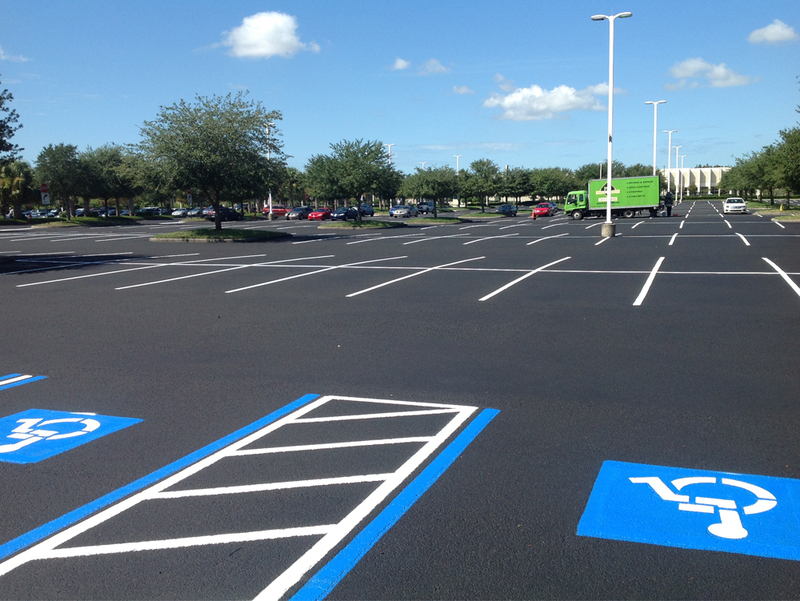 When you sealcoat asphalt, you double its life by shielding it from a variety of destructive forces. In addition to its practicality, sealcoating also enhances the appearance of your pavement by giving it an attractive, easy-to-clean, slate black color finish. Silica Sand is added to sealer to provide a heavier wearing surface. The addition of sand also means the sealer will last longer and be more skid resistant. Sealcoating pavement for pennies a square foot can save dollars in future repairs! Call us today for a FREE no obligation quote at (813) 880-9100.